It’s Almost Show Time! Join us Sunday at 4 PM for The Musicals of 1984! This summer’s concert has been quite the adventure, and we cannot WAIT to bring you fantastic music Sunday (the 13th) at 4 PM, including music from Sunday in the Park With George, Pacific Overtures, Just So, and a whole lot more! All in an air-conditioned building with delicious treats to purchase, including slush. Summer doesn’t get better than that! Join us and invite your friends and family for the best bargain in Derry NH. Hope to see you there! 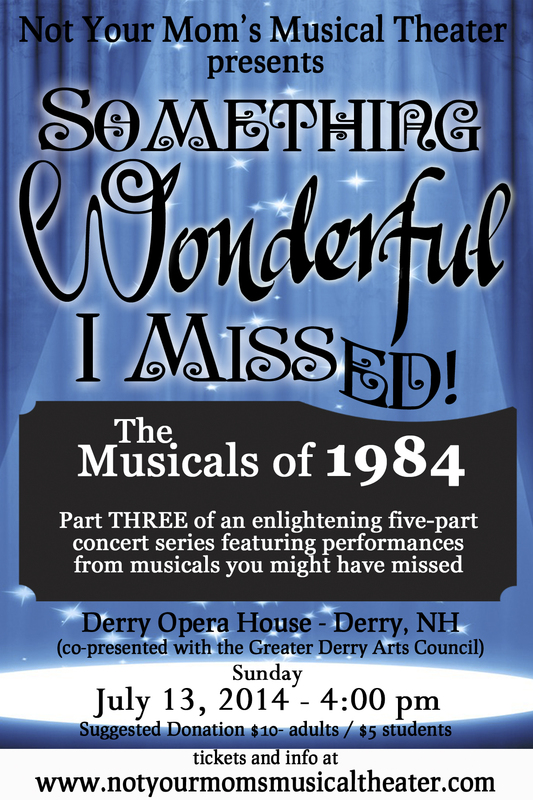 Not Your Mom’s Musical Theater Tours Northern NH – plus a new concert on May 25!